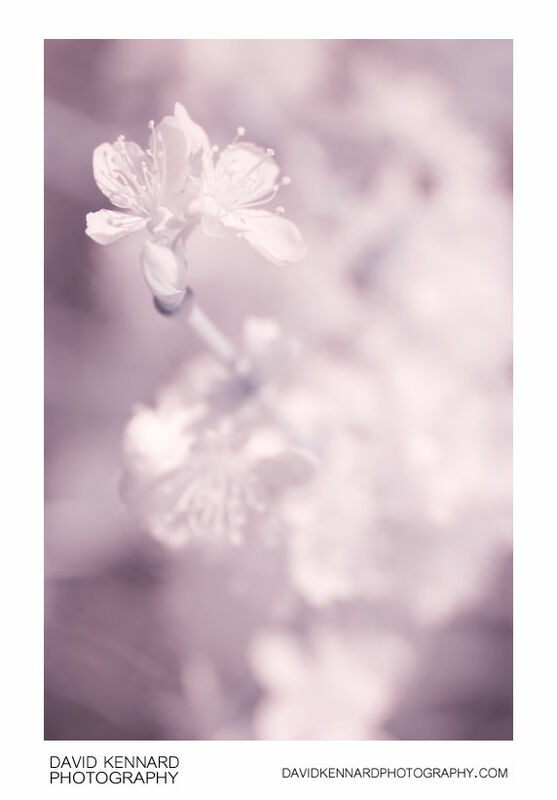 Infrared photograph of Victoria Plum blossom. Although the plum flowers appear much brighter than the branch and leaves under visible light, under infrared light they all have a similar reflectance level. The Victoria plum is named after Queen Victoria. Although an English variety, it originally found success in Sweden, before later becoming more popular in the UK. Victoria is a type of egg plum (Prunus domestica ssp. intermedia). Tripod, Geared head, focusing rail.